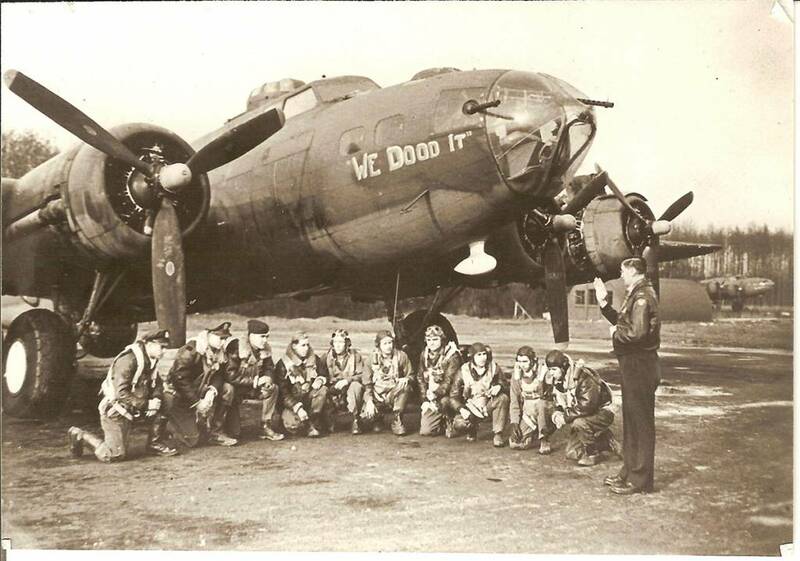 B-17 42-5444 / We Dood It! 42-5444 / We Dood It! B-17 #42-5444 / We Dood It! Delivered Tulsa 10/12/42; Salina 7/1/43; Assigned 360BS/303BG [PU-C] Molesworth 2/6/43; 403AD Langford Lodge 5/7/43; 545BS/384BG [JD-N] Grafton Underwood 11/8/43; Missing in Action Brunswick 30/1/44 with Burton Ross, Navigator: Art Caziani, Bombardier: Jim Seibel, Radio Operator: Ed Davis, Ball turret gunner: Bob Ralph, Waist gunner: J.T. Bishop, Waist gunner: Tom Vezina (7 Killed in Action); Co-pilot: Francis Nelson, Flight engineer/top turret gunner: Everett Bartholomew,Tail gunner: Bob Grimes (3 Prisoner of War); enemy aircraft, blew up and crashed Minden, Ger. Missing Air Crew Report 2263. WE DOOD IT! B-17 Bomber Flying Fortress - The Queen Of The Skies - Home » Datenbank » Abschuss durch Feindflugzeug » 42-5444 / We Dood It!